Woa, 64% on ToD. 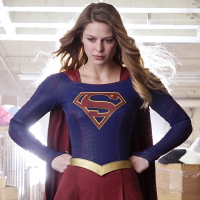 Us R&C fans are so in sync! I never left! But I did catch up on Rebels yesterday, I couldn't wait any longer. I voted for ACiT, cause where else can you see a Groovitron making a Lombax dance in a hilarious way (and even doing a Moonwalk)?! What do you think of Thrawn and Maul's return? Awesum! They did a great job on Thrawn, he feels like he does in the novels. His voice isn't quite how I imagined it, but his manner of speech is spot on. And Maul, that was cool too! Bendu is probably one of the most interesting new characters I've seen so far. One thing I've noticed about Thrawn is that his pupils are spread apart, almost as if cross-eyed, but it makes him look like he sees the whole picture. Yes, true. I thought so too. I highly doubt it was without purpose. This week's poll: Favorite RaC Ps4 Boss Battle? 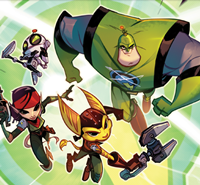 I gotta say Qwark. Snagglebeast was meh, Mrs. Zurkon was annoying, and Neffy was hard if you don't have any powerful weapons and out of ammo. Also, for the experience of seeing Ratchet being Grooviton-ed! 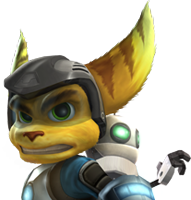 I wish Qwark had a pixelizor–man, that would've been fun to see Ratchet and Clank in 8-bit! This week's Poll: Favorite Zurkon? This week's poll: Favorite Qwark gameplay? My favorite Qwark gameplay is All 4 One. I must to say why I chose that gameplay ?